We’re now #709 on Quantcast. In less than two years, we’ve grown from zero to 7.1 million unique people visiting our network of sites every month. The problem is that, golly gee, why just programmers? Surely there are people out there in different professions — you know, candlestick makers, robotics engineers, and designers of favicons — who could use a site much like Stack Overflow to get answers to their hard questions. And some of these people must have questions, themselves, about candlesticks, positronic brains, and teeny tiny pixels, and they must be frustrated when they go to a bulletin-board site and the right answer is buried on page 50. The first VC we asked thought this was a pretty good idea. So did the second, and the third, and in fact I spent two weeks driving around Sand Hill Road and pretty much all of them thought that this was just a BOFFO idea. One of them, Brad Burnham, suggested that we don’t hard code our revenue model too early. If the platform creates value for a lot of people, he told us, we’ll have plenty of opportunities to make money that actually make the site better. That reminded us of Stack Overflow Careers, where great programmers can leverage all the good work they do on Stack Overflow to get great jobs. It gives us an opportunity to make money and it actually makes the site better. THUS: I’m excited to announce that Stack Overflow has raised $6MM from a group of investors lead by Union Square Ventures and including Ron Conway, Chris Dixon, Caterina Fake, Naval Ravikant, Nirav Tolia, Joshua Schachter, Micah Siegel, and Bob Pasker. Brad Burnham from Union Square Ventures will join the board of directors. That’s an amazing list of investors. Bernard Lunn described Union Square Ventures as “The Best of the Valley in New York” — right now you’d be hard pressed to find anyone who didn’t think they’re the best VC in the city if not the best VC period. In addition, we have #1, #2, #20, and #22 on Business Week’s list of the top 25 angels in tech. All-in-all, I’m in awe of this group of people we’ve brought together. 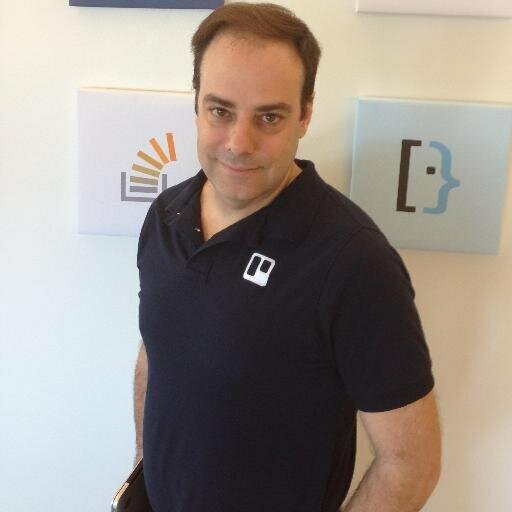 We’re also announcing the formation of a board of advisors for Stack Overflow, including some of my favorite thinkers, who have already helped us immeasurably as we built the company: Clay Shirky, Anil Dash, Marco Arment, Miguel De Icaza, Rich Skrenta, and Micah Siegel. We do need to hire a few people right away. We need top notch programmers (mostly in the office in New York). We need a world class VP of Sales and more salespeople. I need a sidekick, someone to help me with, you know, CEO stuff. The only way to apply for these jobs, of course, is to make a CV on Stack Overflow Careers and email the URL of that CV to jobs@stackoverflow.com.